Professional Boundaries – maintaining wellbeing for you and your clients. You can sign up for the free trial here or dive right into the full course straight away! It’s that simple! As professionals, how often do we feel our client-boundaries are being pushed? Do we come home from a day at work and struggle to leave work behind us? How can we tell if we are maintaining healthy client-professional relationships? And what if we work and socialise within a small community – how do we deal with those dual relationships? During this online course you’ll be able to view lectures addressing the above and much more. Following each lecture you’ll also be invited to consider each module in more depth with suggested exercises, quizzes and further recommended reading. We’re also very excited to say that this course (including the free trial) is subtitled so Deaf and Hard of Hearing learners can learn alongside their hearing peers. Full details of the course will follow but enjoy our free trial in the meantime and let us know what you think! "Very good delivery and thoughtful practical comments about real life experiences and how to deal with professional issues related to boundaries." 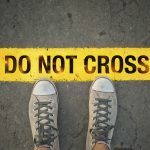 "I enjoyed the explanation of the different areas that you could cross or violate your professional boundary. 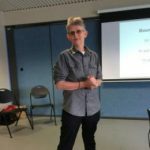 -"Having Wendy (McIntosh) share her expertise from her profession - I think this helped us to be more objective about our own experiences as we had some distance to reflect on our practice."